The mountain lakes of western North Carolina offer a unique opportunity for boys to discover the beauty of our area. 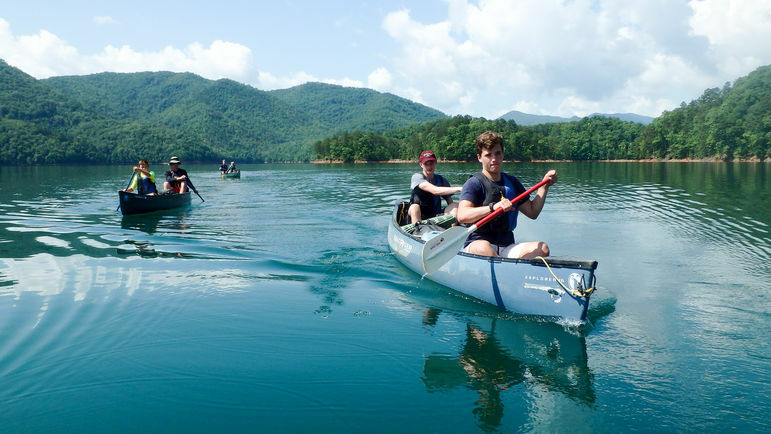 Campers take part in two and three day canoe camping trips on Lake Fontana and Lake Jocassee. Boys learn outdoor living skills as they have fun!